New ASOS Beauty and Make Up Range First Impressions – Have They Nailed It? Hey everyone, welcome back to another post! If you’re an avid ASOS shopping like me then you may have noticed they have launched their very own beauty range. Yes. They are starting to sell their own make up! As I am obsessed with ASOS, I decided to buy a few things from this range and test them out, and see if they have got it right. As I shop so much on ASOS I got invited to their event which was the launch of this range, but unfortunately, I was unable to make it, so it was only right I bought some bits myself as I wanted to check it out. So I picked up four things and they were all reasonably priced! First thing I’m gunna talk about is the ASOS Mascara – Bossy. This is £8 and come in the cutest packaging. In fact, all of the make-up comes in the cutest packaging. Baby pink base with a cute little eyelash design/logo which is simple but cute (I am a fan!). So this mascara is SUPER black and had a really large silicone wand as you may see from the photo. Although I do like a big wand on a mascara, I like to use it as a thickener and lengthener after I’ve applied a base mascara first that isn’t as thick and chunky. This mascara seriously creates the nicest look, and it almost looks like fake eyelashes (without looking fake if that makes sense). This mascara is also 100% vegitarian! The only thing I found odd about this mascara is when you go to take it off, the product is so watery so taking off your makeup can prove quite messy (annoyingly). This worries me a little bit because when it rains, you don’t want your mascara running all down your face, but I’m yet to experience this. Secondly, I picked up the Lip Liner Pencil in Sorted. So this pencil is £5 which I think is a really good price, and this is a great product. I prefer lip pencils that have a creamy texture as I find these less drying on your lips. Lucky enough, this is exactly the texture of this one. It states it goes on like a dream – and well done ASOS, it really does!!! Also, I didn’t even realising until reading up on the details, but this pencil has an inbuilt sharpener at the base! genius I tell ya! I love the colour of this one I picked up as well as its so versatile! This will go with lots of autumnal colours and even more lighter nudes. Next up I picked up the ASOS Matt Liquid Lipstick in Overqualified. I loveeeee this so much! If you are a lover of matt lipsticks that last a long time then this is for you! ASOS say this matt lipstick has an intense colour (check) with a creamy velvet texture (check) which sets instantly to a matt finish (check). It really is one of the best liquid lipsticks I’ve tried, the finish is perfect and not too sticky and the wear is long lasting. Most of the time I don’t even have to top this up (only unless It’s a good drinking water day). Also, this is vegan friendly (which I love). Lastly, I bought the ASOS Chubby Highlighter stick in Flawed. So, this was the item I was most excited about, as you may know how much I love highlighters and trying out new ones! This one cost £9. To be honest, I think I picked up the wrong colour for me as this is more of a bronze colour so doesn’t work great as a highlight, more like a bronzed glow (which isn’t bad at all). But I think I am going to try out a lighter colour to act as a highlight. 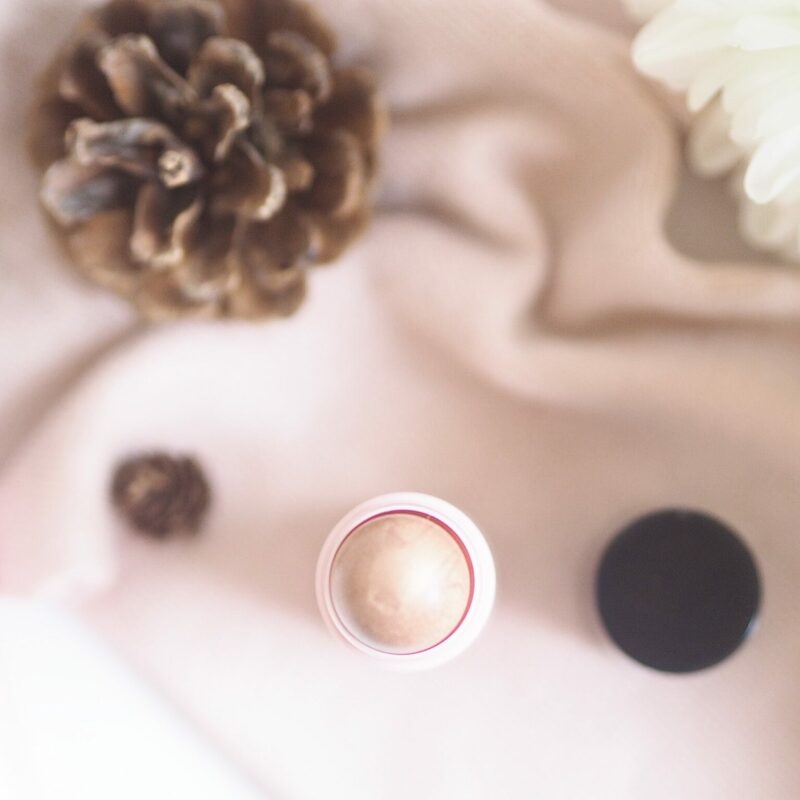 So this is a creamy based highlight stick that has a round, ball like shape for easy application, and it blends really well because of it’s creamy base. Although it is a bronze colour, it has a nice shimmer to it. Ive found that most brands seem to charge more for highlighters that most there products, which may be why they have charged £9, so I kind of wish I got the right shade I wanted, but it’s still a good item. 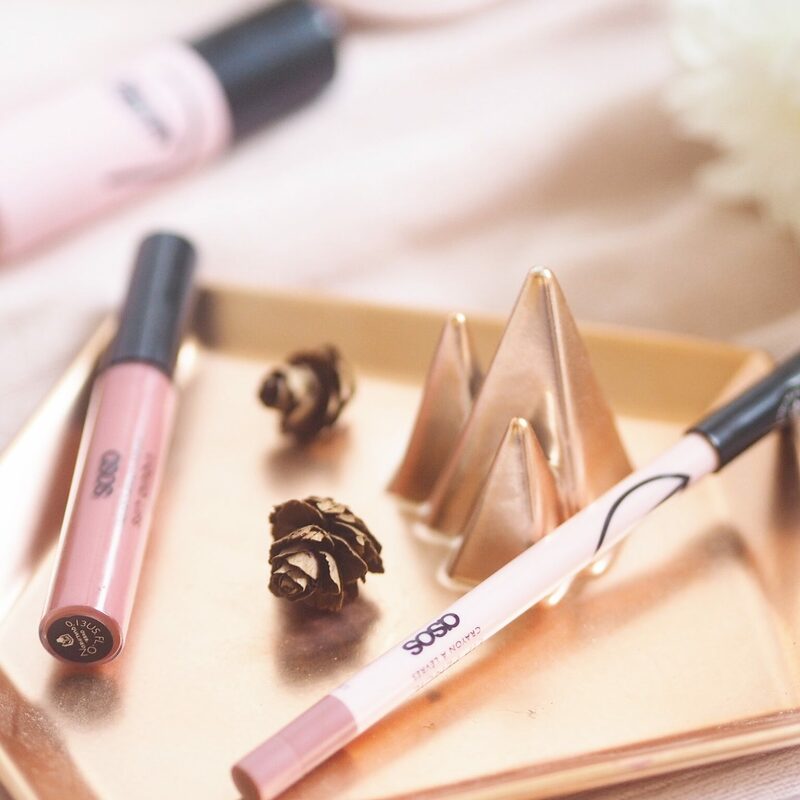 There we have my first impressions of ASOS make-up range, and if I’m honest, I am really impressed and I can’t wait to try out more! Have you tried anything from this range? If not do you want to? How cute is that packaging! 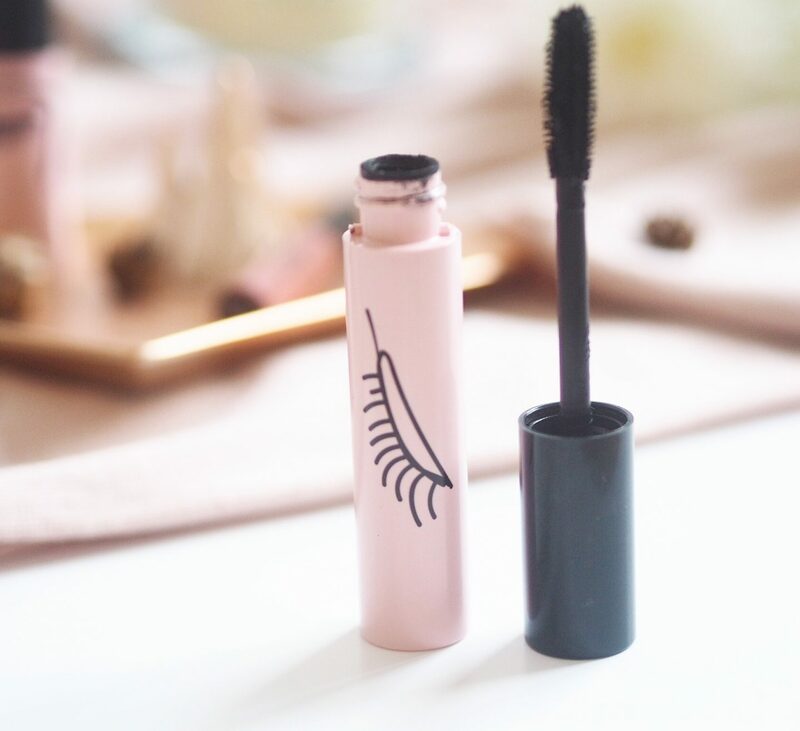 I love the sound of the mascara and the lip pencil being creamy is a big winner for me as I always find them to be quite drying! The lip liner and lipstick combo sounds perfect. I definitely need to pick some bits up at some point! A really great post here! Their makeup sounds pretty good and at decent prices. Might have to make a few purchases of some of their makeup when I’m next shopping on ASOS. Thanks for sharing your thoughts – really helpful for people who haven’t tried the products yet. Ah thank you for your lovely comment! I loved trying out these bits ? Wow, I didn’t even know that Asos did makeup!!! This looks great though and their packaging is so cute!! Will definitely look into this 🙂 Great post! I haven’t tried these yet but they look so lovely! Especially the light pink packaging. I would like to try this soon. Great post!! You should deffo check them out, the packaging is gorge isn’t it ? Really love what they’ve done with the packaging and price point. The lip liner looks like a gorgeous mauve pink shade, I definitely want to try it! They’ve got the packaging so right, love the simple but quirky look. Highlighters are always so tempting but not easy to get the shade right. Maybe you could use this one in the summer when you’ve got a bit more colour. I love Asos, I’ll have to have a look!